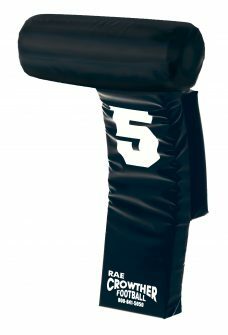 DEFENSIVE REACTION MACHINE - Rae Crowther Co.Rae Crowther Co.
We highly recommend you choose the Optional Complete Assembly of the DFR Machine. Machine will ship fully assembled and can then be unpacked and ready for use within minutes. The Crowther pads fire fast and lock consistently. There’s no waiting. That comes from rugged construction and quality materials. The Crowther Reaction Machine is the only machine with helmet movement. Slide the helmet left, and the left wing pad fires. Slide the helmet right, and the right wing pad fires. This action gives the defender a good feel for an attacking lineman and the direction of the play. If you employ a reading defense, this is a nearly perfect machine for you. You can easily adjust the pads from pass-pro to goalline height by removing two pins and raising or lowering the top chassis. The DFR is no gimmick. It’s old school. 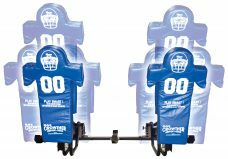 The Crowther Defensive Reaction Machine can help your players get off blocks and get to the ball carrier quickly. It can help develop the necessary skills required for successful defensive line play, such as quick reactions, good footwork, playing low, and powerful hands. Drills can be run quickly. The Crowther Reactor stresses and improves quickness and lateral movement. The athlete doesn’t know which direction he will be reacting in, thus he must be in a balanced stance. The coach determines the direction of the play. The athlete must concentrate on the helmet or pad movement.